Home » Politics » Godspeed, John McCain. You are my hero. Godspeed, John McCain. You are my hero. WASHINGTON — At long last, have they left no sense of decency? I’ve had a closer relationship with McCain than with other politicians. 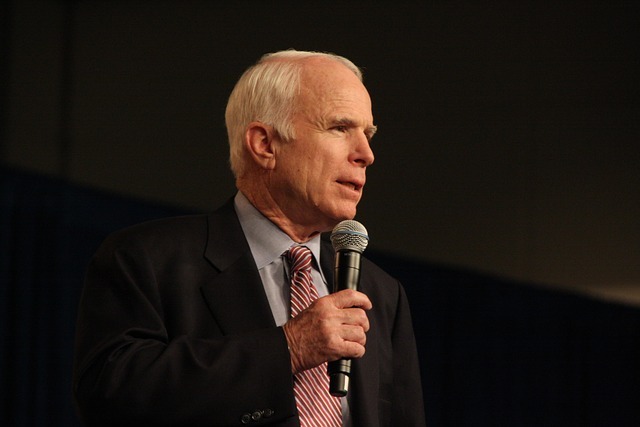 I remember flying with him and Cindy McCain to Phoenix during the 2000 campaign, talking about sports, music, a war buddy — and the issue that defined him: removing the corrupting influence of money from politics. That’s why so many liked him even if they disagreed on the issues: With McCain, everything was going to be on the level. I believed, perhaps naively, that in the free marketplace of ideas, uncorrupted by special interests, we would usually arrive at a sensible consensus. A generation after Sen. Eugene McCarthy, D-Minn., inspired his “Clean for Gene ” followers, McCain inspired me.